Los Angeles—An independent evaluation of California FreshWorks finds that the program has increased access to healthy food and produced significant economic benefits in communities that had previously lacked access to healthy food retail. FreshWorks was created in 2011 with a $30 million commitment from The California Endowment and an additional $240 million from partners including JP Morgan Chase, Kaiser Permanente, The W.K. Kellogg Foundation and First 5 Los Angeles. Capital Impact Partners was also a key provider of capital and served as fund administrator from 2011-2015. Since its launch, FreshWorks has provided financing to supermarkets, smaller grocers, and non-profit and for-profit entrepreneurs developing innovative solutions to improve fresh food access in communities where healthy food options are scarce. Many investments were made in The California Endowment’s 14 Building Healthy Communities sites, which work to create healthier neighborhoods on a local scale to create broad, statewide impact. The evaluation study, produced by an independent team led by the respected Sarah Samuels Center for Public Health Research & Evaluation and InSight at Pacific Community Ventures, found that recipients of FreshWorks funding have increased access to fresh food for more than 800,000 Californians. It also found that FreshWorks stores usually offer higher quality produce, at lower prices, than their competitors. In addition, many participating stores encourage their customers to purchase healthier products through education, in-store marketing, and other promotions. FreshWorks disbursed 48 loans and grants totaling $58 million between 2011 and 2015, according to the evaluation. 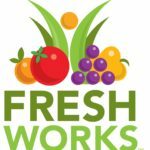 FreshWorks has also created or retained more than 1,900 jobs and generated hundreds of millions of dollars in economic impact. A “deep dive” analysis led by evaluation partner InSight at Pacific Community Ventures reported on the economic impact of three Northgate González Markets and concluded those three stores alone created 450 new jobs and $42 million in economic impact. The three Northgate González Markets selected for in-depth study are located in South Los Angeles, City Heights (San Diego), and Inglewood. “This evaluation shows that communities—regardless of income level—are hungry for fresh, affordable food. Increasing access to quality food retail is more than good business, it is also essential for improving health in communities that are disproportionately affected by preventable chronic diseases, such as diabetes and obesity,” said Marion Standish, Vice President of Enterprise Programs at The California Endowment. “At The California Endowment, we are committed to continuing to address fresh food access in low-income communities as part of our overall goal of improving health for all Californians,” Standish added. “We know first-hand that FreshWorks really works,” said Oscar González, Co-President of Northgate González Markets. “We are honored to use FreshWorks financing to open new stores, bring fresh affordable food to underserved neighborhoods, and create jobs in the communities we consider home,” González added. The evaluation also suggested several ways that FreshWorks could improve operations. For example, it found that many smaller businesses and startups need expert guidance and technical assistance to help manage growth and prepare for investment. The evaluation also recommended that FreshWorks develop more flexible loan products to meet the needs of a wider variety of growing businesses specifically tailored to communities that don’t have traditional access to large food retail. The California Endowment will continue to advance FreshWorks and announced today that the Northern California Community Loan Fund (NCCLF) will be the new FreshWorks program manager, overseeing all components of the initiative, including capital deployment and partnership management. “We are excited to continue building on the success of the FreshWorks initiative and to meeting the challenges raised in the evaluation,” said Catherine Howard, NCCLF’s Director of Strategic Initiatives. NCCLF today announced the completion of two loans designed to improve fresh food access in schools and underserved neighborhoods. Merced-based AgLink received $657,000 to connect local growers with public school districts and build stronger farm-to-school delivery networks. Financing will be used to build a new warehouse and cold storage facility for the enterprise, finance acquisition of a delivery truck, and provide additional operating capital. NCCLF also announced $6 million in New Markets Tax Credit financing to support the development of a full-service Vallarta Supermarket in an underserved central Fresno neighborhood. Vallarta is a leading Hispanic supermarket chain, and the new Fresno location will be the first grocery store to open in the area in more than 15 years. The store will feature a variety of fresh produce, as well as an onsite tortilleria, panaderia, and carniceria. The store is currently under construction and is expected to create almost 200 new jobs. The grand opening is scheduled for late 2016. You can learn more about California FreshWorks by visiting www.CAFreshWorks.com.